Ministry of Health and Family Welfare, Government of India has issued the Standard Treatment Guidelines for Congenital Heart Disease. Cardiac conditions that result in cyanosis are extremely diverse. The management guidelines are unique to every lesion. Even within lesions there are numerous categories that require individualized attention. For example Tetralogy of Fallot has numerous anatomic variations that can seriously influence how the condition is managed. Broad principles have been listed in published guidelines (reference 3). Common lesions in broad categories of cyanotic congenital heart disease (CCHD) that include conditions associated with reduced pulmonary blood flow, CCHD with increased pulmonary blood flow and CCHD associated with pulmonary hypertension are discussed in the published reference. Hyper cyanotic or Cyanotic spell is a pediatric emergency, which requires prompt recognition, and intervention to prevent disabling cerebro-vascular insults and to save lives. A cyanotic spell needs to be taken seriously not just because of the immediate threat but also because it indicates the need for early operation. How to recognize a spell? Occurs more often in early morning, although can occur at anytime in the day. Infant cries incessantly, are irritable and often inconsolable. Tachypnea is prominent and a cardinal feature. Typically these infants have a pattern of Deep and rapid breathing without significant subcostal recession. Cyanosis deepens as the spell progresses. Can last from minutes to hours. Auscultation reveals softening or disappearance of pulmonary ejection murmur. Occasional patient can have profound bradycardia. DORV with VSD and PS. D-TGA or L-TGA with VSD and PS. Atrioventricular septal defect with PS. Check airway and start oxygen. If child is uncomfortable with mask or nasal cannula, deliver oxygen via tube whose end is held ½ – 1 inch away from nose. This corresponds to delivering 80% oxygen. Obtain a reliable intravenous access. Sedate child with subcutaneous morphine 0.2 mg/kg/dose]or i/m ketamine [ 3-5 mg/kg/dose] if the access is not obtainable expeditiously. Soda -bicarbonate 1- 2 ml/kg given as 1:1 dilution or can be diluted in 10 ml/kg of isolyte-P which is given bolus as the initial resuscitating fluid. Correct hypovolemia (10ml/kg fluid bolus of isolyte P or dextrose normal saline). Start beta -blockade. Beta blockade is fairly safe unless a specific contraindication like bronchial asthma or ventricular dysfunction exists. It should always be given with heart rate monitoring. IV metoprolol 0.1 mg/kg, given slowly over 5 min. Can repeat every 5-min for a maximum of 3 doses. Aim to keep heart rate below 100/min. I/v esmolol: 500mcg/kg over 1 min as loading dose, 50 mcg/kg/min for 4 minutes; if desaturation persists without a significant decrease in heart rate the loading dose will need to be repeated and the infusion rate can be increased in 50 mcg/kg/min increments until 300mcg/kg/min; this infusion should be maintained at the rate that produces the desired result. Esmolol is relatively expensive but has the advantage of being very short acting. Methoxamine given i/v at dose of 0.1mg-0.2 mg/kg /dose or i/m (0.1- 0.4 mg/kg/dose). Phenylepherine: 5ug/kg as bolus and then 1-4 ug/kg/min as infusion. Appropriate and timely management of cyanotic spells can save lives and prevent CNS insults. After a spell is successfully managed, a careful neurological examination is mandatory. In case of suspicion of neurologic insult during a spell, a CT scan is to be done to assess the presence and extent of cerebral infarcts. Initiate maximally tolerated beta-blockade (propranolol 0.5-1.5 mg/kg/dose 8hourly or 6 hourly). The dose can be titrated by the heart rate response. Beta blockade may help improve restiniled segmental analysis by 2D echo for complete diagnosis. Plan towards early corrective or palliative operation (depending on the age and anatomy). Explain to them the circumstances when a spell may occur. Obtaining IV access in a cyanotic child can precipitate spells. Difficulty in obtaining access can potentially be avoided by sedating child with IM ketamine [3-5 mg/kg] and/or by using local anesthetic skin ointment before attempting for venous access or blood sampling. Broad guidelines have been published (reference 3). Numerous anatomic variations dictate specific decisions for individual patients. Additionally the paucity and variable capabilities of centers capable of infant and newborn heart surgery in India will need to be recognized (reference 5). All these factors make decision making in individual patients quite complicated and highly individualized. The timing of surgical or trans-catheter intervention for left to right shunts is a critical decision and one of the most important tasks the pediatric cardiologist is asked to perform. Simply stated, the decision about when to intervene requires carefully balancing the results of the procedure with the natural history of the conditions. The extraordinary variety of conditions associated including unlimited combination of defects complicates the decision making process. Further, during the last 30 years there have been numerous advances in the field of pediatric cardiology and pediatric cardiac surgery. These advances have enabled improved results from operations and trans-catheter interventions and have allowed the procedures to be performed early. 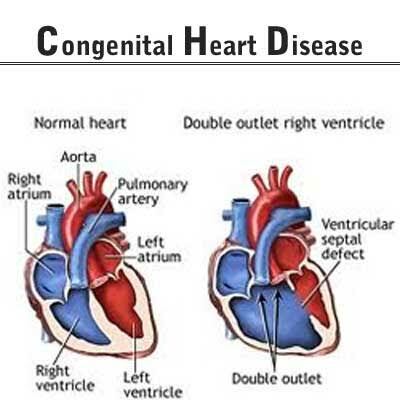 In addition, we now have information on the natural history of many congenital heart conditions. An increasing number of studies are being published on the long-term results of operations and interventions for congenital heart disease. Because of the wealth of information available to us the decision about when to intervene in CHD” now involves careful consideration of a number of variables that influence natural history and procedural outcome. There are no simple rules for the numerous CHD conditions and the decision making process has to be individualized for every patient. Detailed guidelines for individual left to right shunts are provided in reference number 1 and 2. These are fairly contemporary and represent a consensus of national experts. While awaiting surgery or catheter intervention, medications need to be administered. Specific guidelines have been developed for this purpose and are published (reference number 4) through a consensus of national experts. In the past 4-5 decades there have been modest advances in our understanding of the disease process. There have been minor changes in the diagnostic criteria and management practices for RF have also largely remained unchanged for the last 20-30 years. However, there have been important changes in the epidemiology both in India and the rest of the world. There appears to have been a sharp decline in RF and RHD in parts of India that have shown improving indices of human development. Physicians living in these parts of India need to be mindful of the prospect of overdiagnosis of RF. For most of India, however, the disease is still quite common and it is important to not miss the initial episode of RF because secondary penicillin prophylaxis still remains the most effective way of preventing RHD. The algorithm displayed in the next page summarizes the initial management of RF. Saxena A, Kumar RK, Gera RPK, Radhakrishnan S, Misra S, Ahamed ZA (writing committee members), Consensus guidelines on pediatric acute rheumatic fever and rheumatic heart disease, Indian Pediatrics, 2008;45:565-573.